Comes with a full backlit mechanical keyboard, two USB-C ports, support for Android Pie and Linux dual-boot, and a MediaTek Helio P70 to bear the load. When HTC co-founder commented about a variety of smartphone shapes in future earlier this year, it didn’t seem like she was talking about the renaissance of previously revered form factors. But that’s what we’ve come to see now. The past few weeks saw the resurrection of the slider phone, with the launch of three new exciting devices – Mi Mix 3, Honor Magic 2, and Lenovo Z5 Pro. 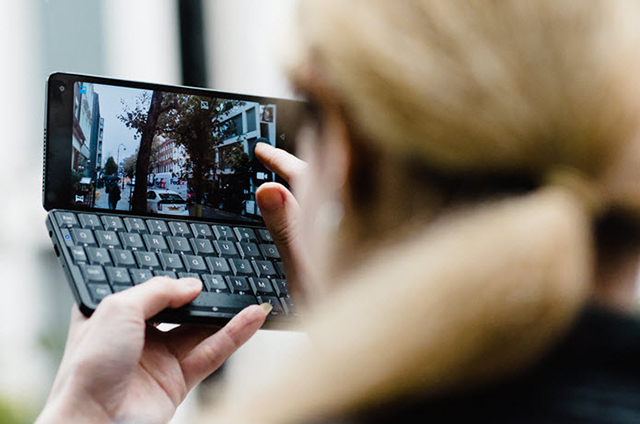 But at the same time, another shape that appears to be commanding unexpected attention is the foldable communicator – which you might remember if you grew up in the ’90s or early 2000s. I personally have fond memories of a pencil box that I would carry to school. It looked like a Nokia communicator and I remember building a castle in the air (obviously fortified by Nokia 3310s) while pretending to use it as an actual handheld computer. 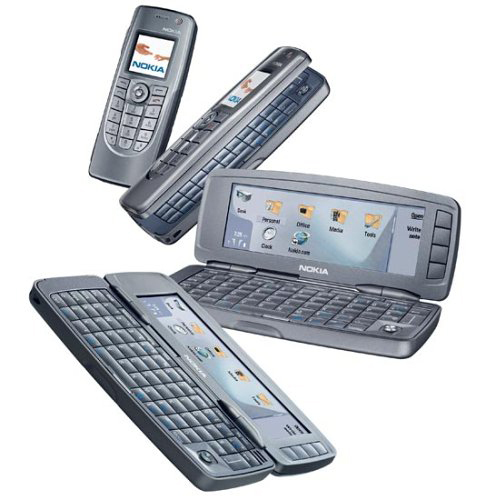 But over time, as touch became the most popular way of interacting with phones, these form factors were forced out. Coming back to communicators, there’s a new kid on the block that appears to have grabbed a lot of attention lately – especially on Indiegogo. Called “Cosmo Communicator”, the foldable smartphone-computer has raised 360% of its initial goal for crowdfunding. The Cosmo Communicator features a folding design (duh!) with dual displays. The one on the inside rocks a 2160x1080p resolution in a 5.99-inch (obviously) notch-less AMOLED display. The secondary display is a tiny 2-inch panel with a resolution of 570×240 with a pixel density of 300ppi and can be used to answer incoming calls and other notifications. There’s a button on the top to accept or reject calls which also doubles as a fingerprint. You get 24-megapixel and 5-megapixel cameras on the back and the front, respectively. There are front cameras over both screens but there’s not enough clarity as to which is being referred in the specifications. There’s a 128GB inbuilt storage with support for microSD card while there’s support for dual SIMs. It also features a backlit full mechanical keyboard, and dual USB-C (matching my MacBook Pro and the new MacBook Air). The PDA-esque device uses 6GB RAM but knowing that it is powered by a MediaTek Helio P70 chip might come as a disappointment. 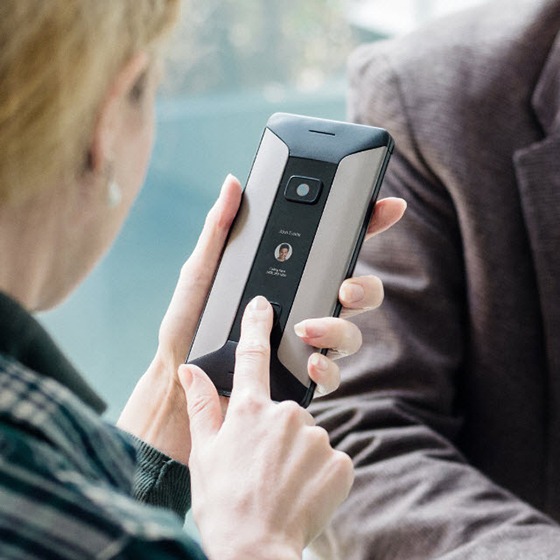 This is because the communicator is priced at $549 (~Rs 40,000). Another concerning factor is that there’s no mention of any sort of security features to justify its appeal to workplace users, which we presume is a big market for this phone. However, to make up for it, you get dual-boot options where you can run Android Pie and Debian-based Linux distros simultaneously. 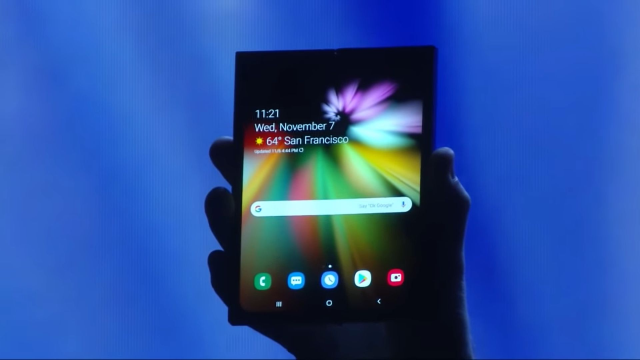 While communicators in general might take some time to come back (with no guarantee that they will), recent developments like the Asus ROG Phone with support for a detachable screen, Nubia X with a second display, as well as the teasing of Samsung’s foldable knight, I have a feeling that we might soon be faced with a lot more sliders, foldables and anything-but-a-rectangular-slabs.